TUESDAY, Oct. 25, 2016 (HealthDay News) -- Even young, healthy adults can suffer blood vessel damage from air pollution, a new study finds. Periodic exposure to fine particulate matter -- tiny pollutants from cars, factories, power plants and fires -- isn't a health risk only for the ill and the elderly, the researchers concluded. The findings suggest that living in a polluted environment could promote development of high blood pressure, heart disease and stroke more pervasively and at an earlier stage than previously thought, said study researcher Timothy O'Toole. He's with the Diabetes and Obesity Center at the University of Louisville in Kentucky. "Although we have known for some time that air pollution can trigger heart attacks or strokes in susceptible, high-risk individuals, the finding that it could also affect even seemingly healthy individuals suggests that increased levels of air pollution is of concern to all of us, and not just the sick or the elderly," O'Toole said. A New York City cardiologist agreed. "Blood vessel injury is the cornerstone of cardiovascular damage that leads to heart attacks and strokes," said Dr. Satjit Bhusri, a cardiologist at Lenox Hill Hospital. This study helps explain how toxins in the air might cause such damage, Bhusri said. It suggests air pollution increases cell damage and artery injury. It also suggests that there are biochemical signs that prevent new blood vessel growth and promote cell death, Bhusri noted. "Taken together, we now have a clear link to air pollution and inherent blood vessel damage that can lead to an increased risk of cardiovascular disease," he said. The report was published online Oct. 25 in the journal Circulation Research. For the study, O'Toole and his colleagues focused on a type of air pollution known as fine particulate matter (PM2.5). These are tiny pieces of solid or liquid pollution produced by combustion. Study participants included 72 healthy, nonsmoking adults in the Utah Valley. Provo's weather patterns and geographical features periodically result in significant air pollution. 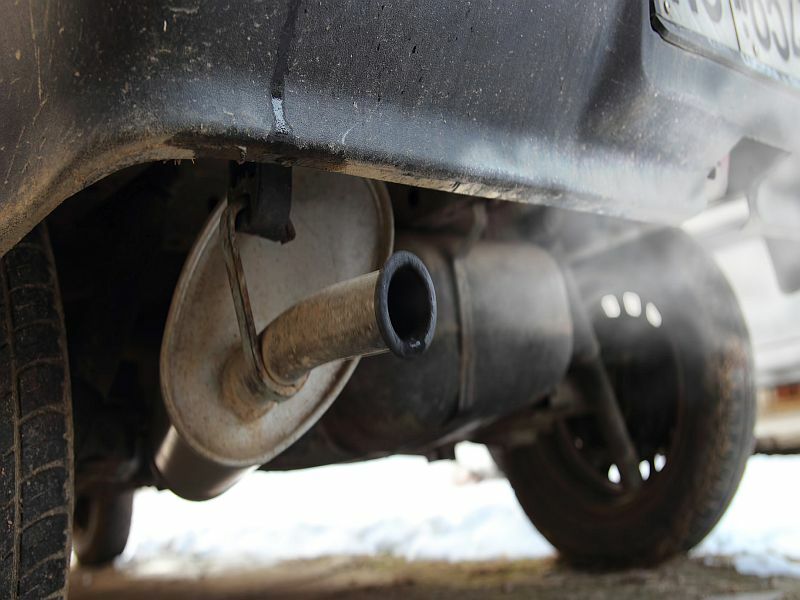 Last year, the American Lung Association ranked the Provo-Salt Lake City-Orem region seventh out of 220 metropolitan areas for 24-hour particle pollution. These episodes of pollution enabled O'Toole's team to test participants' blood for signs of heart disease as air quality changed during the winters of 2013, 2014 and 2015. As pollution levels increased, so did indications of cell injury and death, the researchers found. Levels of proteins that inhibit blood vessel growth and ones that signify blood vessel inflammation also rose alongside dirty air. According to Dr. Howard Levite, director of cardiology at Staten Island University Hospital in New York City, "This new study continues to fill gaps in our understanding of this omnipresent urban environmental risk factor." Although the American Heart Association had warned of the risk of air pollution over a decade ago, it focused on those already at high risk for heart disease or who already suffered from it, he said. "This study removes doubts about the deleterious effects of air pollution on the general population by focusing on healthy young adults," Levite said.